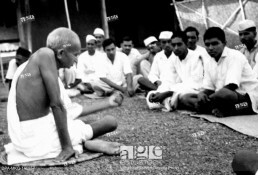 Mahatma Mohandas Karamchand Gandhi is widely known as the leader of the independence movement against British rule in India, and is revered for his peaceful philosophy of passive resistance. 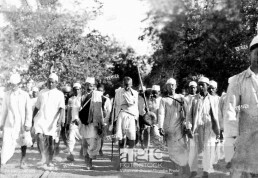 Gandhi organized peasants, farmers and laborers in protests against excessive tax and discrimination, as well as led boycotts against British institutions in peaceful forms of civil disobedience. 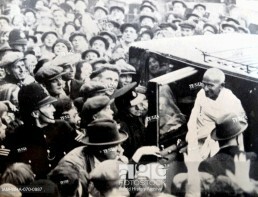 Of his most famous protests are the 400km march against British-imposed tax on salt in India, and the “Quit India” movement calling for the British to leave India. After World War II, Britain granted India its independence, at the same time separating the Muslim-majority Pakistan from Hindu-majority India to appease the Muslim League. Religious violence escalated between Hindus, Muslims and Sikhs as they traveled to their new lands. 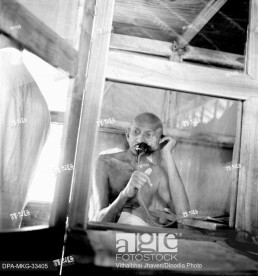 Gandhi strongly opposed the partition and in an attempt to urge Hindus and Muslims to live peacefully together, undertook several fasts to stop religious violence. 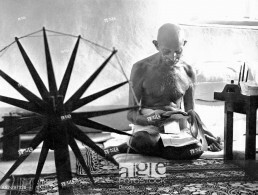 Some Hindus, however, increasingly viewed Gandhi as a traitor for expressing sympathy toward Muslims. 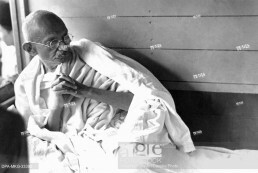 On the 30th of January, 1948, one such Hindu fanatic, Nathuram Godse, enraged by Gandhi’s negotiations with the Muslim community, knelt before the Mahatma as he was on his way to a prayer meeting, pulled out a pistol and shot him three times at point-blank range, killing him on the spot. Godse and a co-conspirator were executed by hanging in November of 1949, while his additional conspirators were sentenced to life in prison. This day, 30th of January, 2018, marks the 70th death anniversary of this undefeated soul, an inspiration to human rights movements around the world, including those of civil rights leader Martin Luther King Jr. and Nelson Mandela. agefotostock, your best choice to find the images, videos and vectors for all your creative and editorial projects. I was looking for some information on your site this morning when I came to your excellent page. What fantastic information you provide in this article. It might make a good fit for your page. Would love to get your feedback on it.